Just in time for Xmas is Blair‘s December 2016 Tool Newsletter (you can find it in the newsletters section on Toolband). It takes a Q&A format this time around, and doesn’t contain any info that typical Blair detractors need to know – save yourself the effort this Xmas Day (or Boxing Day if you’re an Aussie like me)! So more of the same in that regard then. I suspect one day Tool will eventually tell Blair “ok, you can tell people about xxxx now” and we’ll get it. Until then the wait continues with no clearer picture of when it’ll actually arrive. Enjoy some time off Tool fans, and don’t forget to submit your albums for the Fourtheye Top 10 of 2016! The Tool VIP Event has come and gone, and as expected it included a rehearsal and a Q & A session. A warning for those wanting to stay spoiler free for the show – rehearsal included a couple of surprises, which may or may not bne reflected in the setlist, so I’d avoid reading much further. At the session where Adam Jones, Danny Carey and Justin Chancellor. Maynard wasn’t in attendance, which probably shouldn’t surprise anyone. There were numerous crowd size estimates, some say 300, others say 500. Regardless, due to the size getting in was slow and the Q & A was reportedly a little tedious. 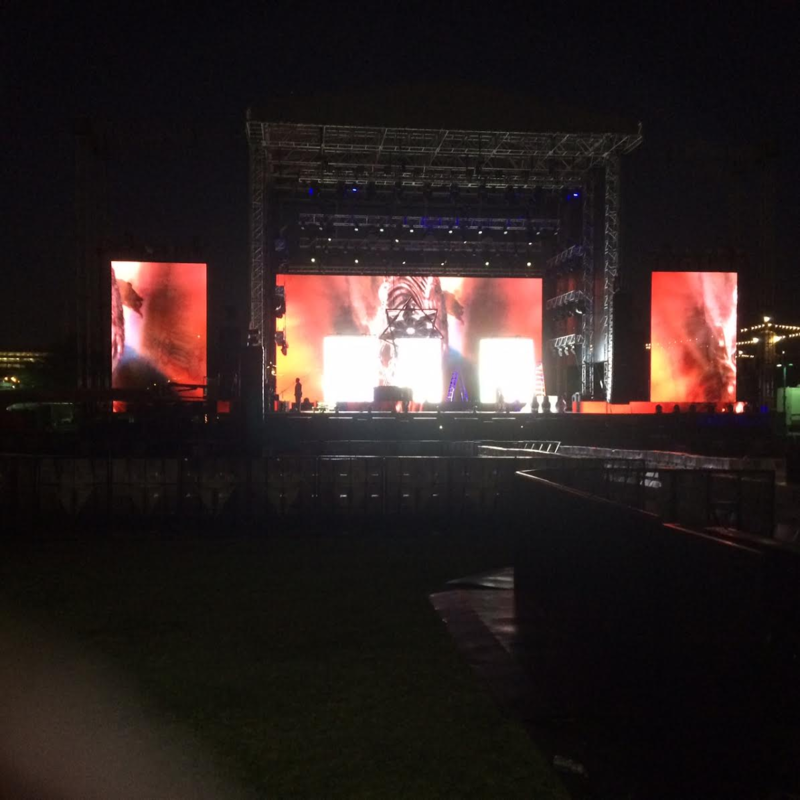 The rehearsal was a mini-set of sorts and included Vicarious, Opiate (new extended version), Parabol, Parabola, Aenema, The Grudge and a new jam that was described as sounding similar to one we’ve already heard before. It was noted on the Tool Army Members Facebook page that Adam mentioned this was part of a 15 minute song. Adam spoke in regards to the new Tool album that there has been good progress since the lawsuit was done. They wouldn’t be drawn into saying much more about it. Adam was reportedly a little emotional when discussing it. They’re hoping to have the Opiate video out by the end of the year and it’s directed by Dominic Hailstone. It sounds like the Opiate video will be the new version of the track, and not the original. Presumably it’s been re-recorded, and I’d speculate it’s probably what they were doing when the were in the studio with Motorhead earlier this year. It seems as though they are waiting for their record contract to be finished before doing a live DVD. For those who haven’t been keeping notes, there were a few hints earlier this year from Danny that the Opiate video might be the much discussed curveball. There’s only a few months left this year, so I expect we’ll see some solid news on this in the not to distant future! 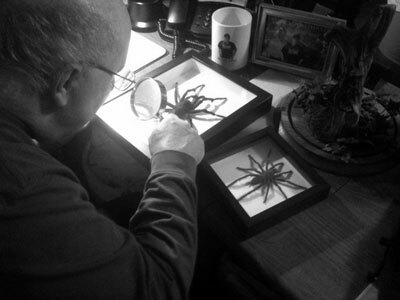 Thanks to lachrymologist for the details on the VIP Event. Many of you would have noticed the post on Toolband already (and on other numerous social media sites) that the rumoured Tool show on October 31 at the Monster Mash Music Festival in AZ has been confirmed. Supporting will be Primus and another couple of bands. 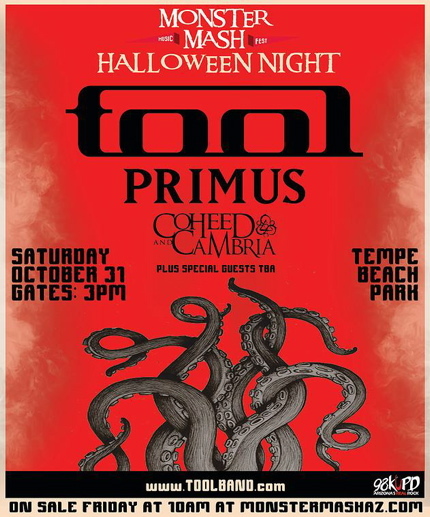 TOOL will be performing at the 2015 MONSTER MASH MUSIC FEST at TEMPE BEACH PARK in TEMPE, ARIZONA on SATURDAY, OCTOBER 31 (HALLOWEEN NIGHT). Gates at 3:00 PM. 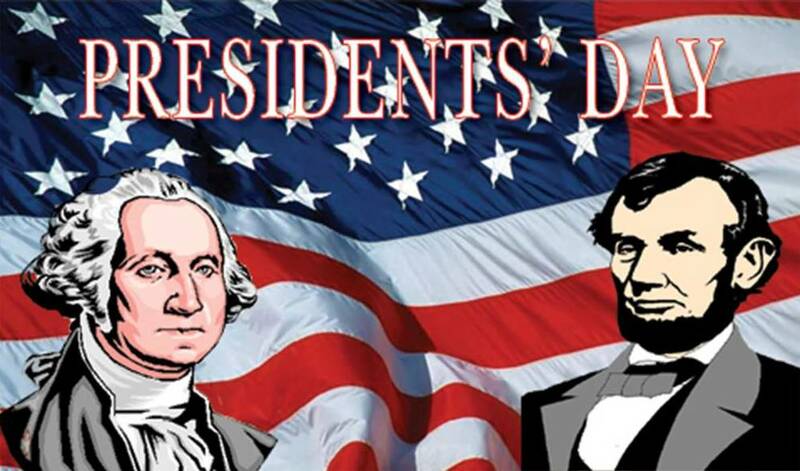 Make sure you get the right day or you’ll find yourself singing along to The Old Man Down The Road or In The End. Blair contacted me not long after the announcement, and wanted you guys to know that this isn’t the curveball (which he contends is nearly finished after so long), and that it’s unlikely to delay the album as some may fear. As I pointed out in the forum at worst the album gets pushed back a month, which in the grand scheme of things isn’t really a big deal. He also hints that it could be just the one show – I’ll follow up with Blair to clarify this. Update: Blair confirmed to me that there are no other shows planned at this stage. That’s not to say there won’t be, but it appears likely this is a one-off show. A mysterious post appeared on Toolband over the weekend with nothing other than “Wait for it…” and a small orange dot being posted. “Wait for what?” is the obvious question here, but it appears there are a couple of possibilities. 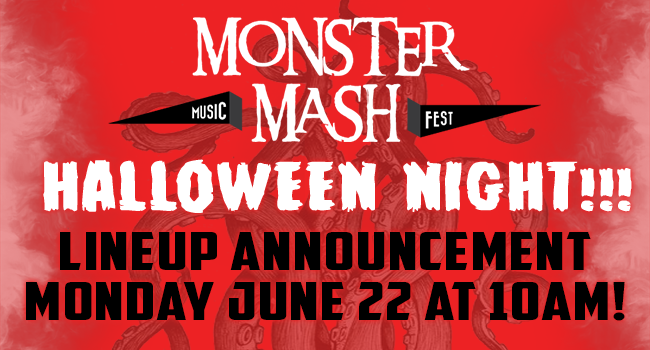 Rumours (I have no insight into the source except it comes from a Tool Army fan page on Facebook) suggest that Tool might be headlining the Monster Mash Music Festival in Tempe, Arizona in October. Given that the lineup announcement (rumoured to also include Primus) for this festival is due on Monday, it would appear this is a relatively likely scenario. That said, we know that Blair has been dropping hints that the curveball is almost ready in recent newsletters. Could it be curveball related? Regardless of which scenario eventuates on Monday, a few questions remain – will a festival date in October also come with a tour? History suggests that Tool don’t often play one off dates, so I’d expect a mini-tour to happen as well. Recent newsletter references to Rance Q. Spartley, who’s name being mentioned often correlates to tour announcements suggest this might happen. 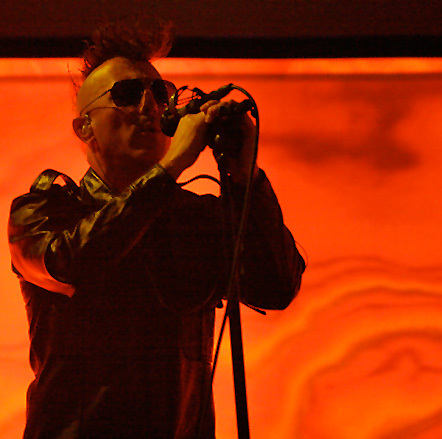 Are Tool touring again before releasing an album? If the show happens then this would appear the most likely scenario, unless of course the curveball is that they’ve secretly recorded the album and will have it out in time. Tool members have suggested they won’t tour again until a new album comes out, but I think even the most optimistic among us see this as an unlikely scenario. What do the Fourtheye collective think? How about the rumors of the band playing some festival date, where they can finally unveil Junior’s drone-suspended lightning configuration? No… what if the show never happens, or happens so far in the future that many Tool fans – believing this to be the most important event to ever occur on our aqueous gem in the cosmos – will incessantly question whether or not it is really going to take place, with some even driven to a premature madness by the very thought of it… But what about my commenting on the reaction of those fortunate souls that heard a (very loud) sampling of some new Tool material during the after party of Rynne and Danny’s baby shower the other night? Certainly not, much better to wait until the vocals are added. Maybe… just maybe, I could update people on the so-called “curve ball” now that it has finally left the pitcher’s grasp, and is – as seen by our slow-mo camera – heading towards the awaiting batter. No way, Jose, that’s old news! There are also further parts of the newsletter that make me wonder if the curveball is a movie. I’ve always maintained that I think the “curveball” is some form of movie, possible integrated with live performances. We’ll see I guess! Is Joe Barresi the closer? Looks like something is on the final stretch. Unless Tool are playing their cards very close to their chest, I don’t think it’s the new album! The closer is brought in to get the job done… using everything in his arsenal. There’s a couple of theories on what this could mean. 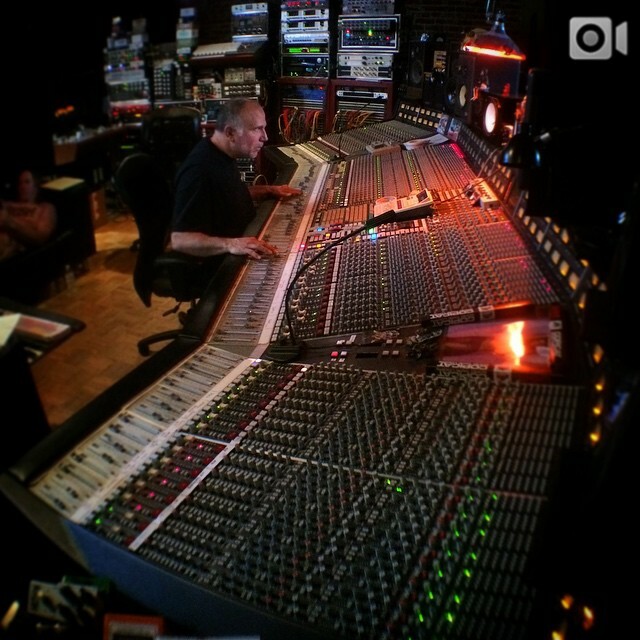 Perhaps Maynard is finally getting into the newly refurbished Loft to lay down the vocals for the new Tool album? The chill on the forum also pointed out that “the closer” is a bit of a baselball term, so it could refer to the “curveball” being almost ready to appear. Either way hopefully we get some solid information soon! With regards to the chance meeting between members of Tool and their friends in Motorhead in the same recording facility – this had absolutely nothing to do with the preparation, recording, mixing or mastering! of a new Tool album. Instead, it concerned another Tool project that has been in the works for a while. In fact, when I first heard about this project (way back when), I mentioned it in a news post as being a “curve ball” – meaning that it would be something unexpected by most Tool fans (as it was to me). Since then, some fans have guessed what this is, while others remain clueless, with many others believing that there really never was any such idiom to begin with. A) The members of Tool that the guys in Motorhead saw and interacted with in the studio were actually the DECOY members of the band , who have started tracking tunes for the new DECOY Tool album. 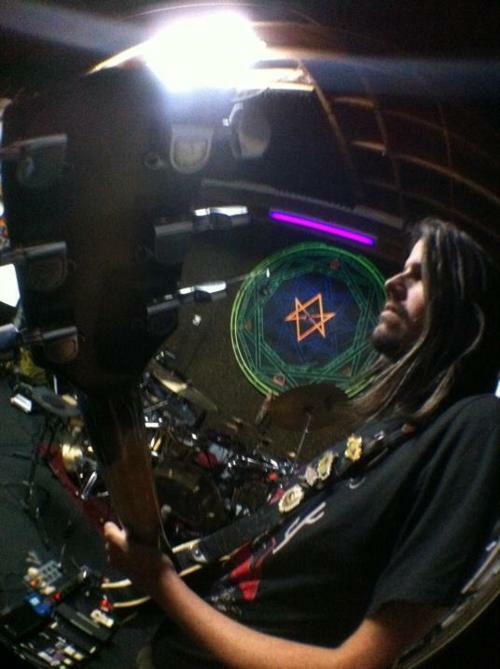 B) Rather than tracking tunes for the next Tool record, the (real) members of the band have begun tracking (real) tunes for the Tool album that is to be released AFTER the next Tool album is released. C) Rather than tracking anything, the members of the band were in the studio mixing music that was recorded sometime ago, which might not have anything to do with the next Tool album (which is still in the writing/arranging process), but might be used for another Tool project that has been in the works for a while, of which I am currently not at liberty to add any further details. Seeing as I expect the first two are unlikely, I imagine C is the most likely option. Maybe one day we’ll even get some details on what this actually is!